Country Life’s property expert Penny Churchill takes a look at the state of the country house market in 2017, and picks out the landmark sales which paint a surprisingly positive picture. Things have been tough at the top of the property market for a while: political uncertainty, Brexit, and Stamp Duty have conspired to slow things down. But there are reasons to be cheerful. Estates with enough land to qualify as ‘mixed-use’ have had many more buyers than sellers, for example. And Savills report encouraging figures: there are 47% more buyers looking in the £3m+ bracket than there were in 2016, and sales of £5m+ houses in Surrey, Hampshire and West Sussex has doubled. Clive Hopkins of Knight Frank’s country-estates department believes that even genuine buyers have been inclined to drag their feet unless, and until, a competitor enters the fray, at which point, they tend to react immediately – and a number of quick sales support that viewpoint. Robert Fanshawe of Property Vision also suggests that people’s increasing ability to work from home is easing the way for those who want to move out into the country – particularly enticing for those with school-age children.  Add in the occasional hotspot – places near Soho Farmhouse and Daylesford Farm Shop on the Oxfordshire/Gloucestershire border, for example – plus demand from buyers from South-East Asia and the number of big sales in the list below starts to paint a very different picture to the one you might imagine. Please note that all the prices listed below were asking prices, guide prices or ‘offers over’ prices where noted, not final sale prices. 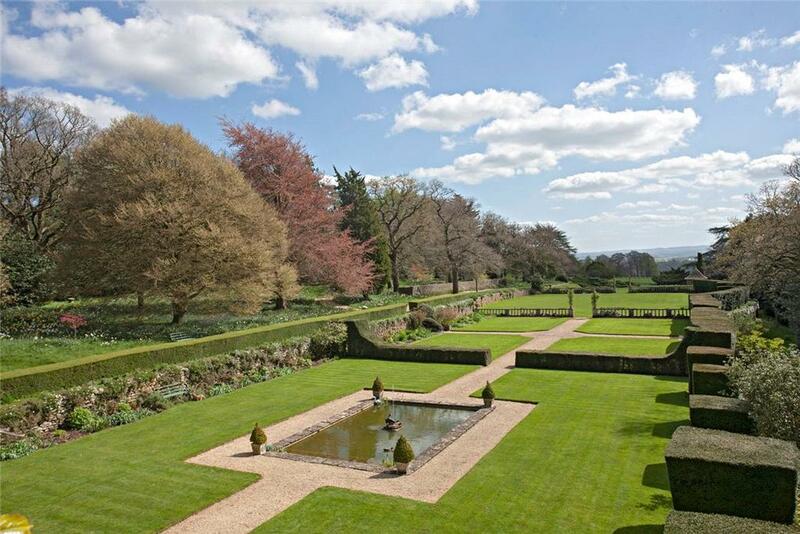 The biggest deal of the year took place in February, when Savills handled the sale of this estate to European buyers. Previously owned by insurance giant Zurich, the 4,227-acre property stretching between Winchester, Basingstoke and Andover had a guide price of £45m. At the time, the estate was entirely let, with a commercial rent-roll of £635,000 a year. Its mainly-arable land is tenanted by four farmers, with 24 estate houses either let long-term or on Assured Shorthold Tenancies. At the top end of the price spectrum, overseas buyers ruled the roost within the secure confines of north Surrey’s most exclusive estates. 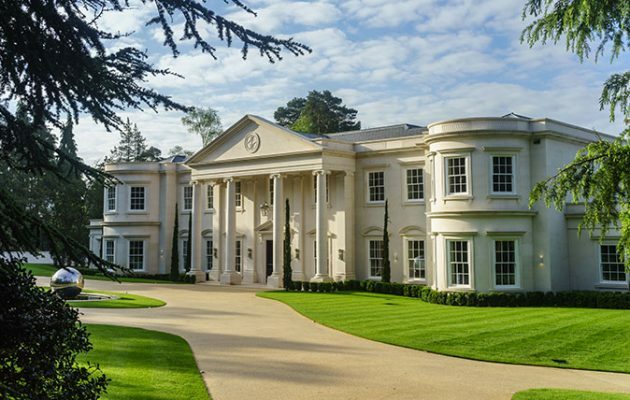 Developer Consero London scored a ‘double whammy’ with the sales of the sumptuous, Palladian-style Dawn Hill and Hurstbourne, each set in three acres of grounds on the prestigious Wentworth estate. Offered through Knight Frank and Hanover Private Office at guide prices of £29m and £25m respectively, both were sold to canny international buyers, who were happy to take advantage of the current advantageous dollar-sterling exchange rate. Demand still outstrips supply for the most prestigious country estates, and Clive Hopkins of Knight Frank named this example – which sold in May – as one of the highlights of his year. The picturesque, 762-acre Bibury Court estate on the banks of the River Coln, near Cirencester, Gloucestershire, boasted a house by Quinlan Terry. 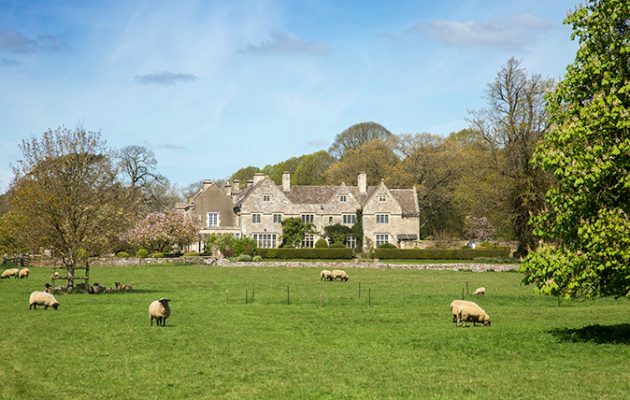 This sporting estate near Harrogate had a guide price of ‘excess £13m’ – it is a 2,500-acre North Yorkshire property where the successful shoot has been run in recent years by Sir Ian Botham’s son, Liam. Thus 1,044-acre farming estate at Tarrant Gunville sits within the Cranborne Chase AONB on the Dorset-Wiltshire border. Originally part of the Tarrant Gunville Manor estate – owned at one time by Josiah Wedgwood II, of pottery fame – Stubhampton incorporates one of the oldest deer parks in the area, first mentioned in records from 1279. Crispin Holborow of Savills handled the sale,, with contracts exchanged in November at a guide price of ‘excess £13m’. One of the keys was a well-managed planning application that secured consent to build a brand-new, 15,000sq ft main house on a splendid woodland site at the heart of the estate. 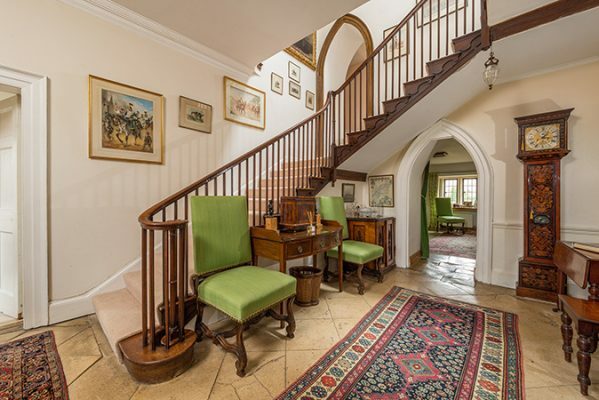 One of the most charming residential properties sold in Hampshire this year was this secluded, 65-acre estate at Biddesden, near the county border with Wiltshire. 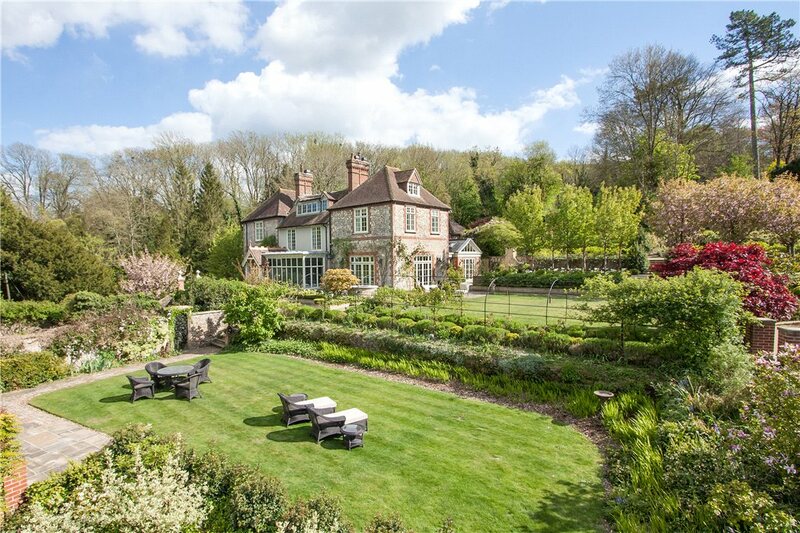 Described by selling agents Strutt & Parker as ‘the perfect small estate’, its sale was one of Strutt’s ‘deals of the year’ when it found a buyer in August at a guide price of £8.25m. The Georgian, Grade II-listed Youngsbury, which sits in 95 acres of Capability Brown parkland, four miles from Ware, Hertfordshire found a buyer on the second viewing at a guide price of £5m. The Home Counties and Cotswolds racked up some rapid sales of houses in good locations and priced between £2m and £3m – but some went quickly even at much higher prices. Strutt & Parker were joint agents with Knight Frank in the sale of The Chantry at Storrington, West Sussex, which sold in 22 days from the first viewing in May, to exchanging contracts on June 13. 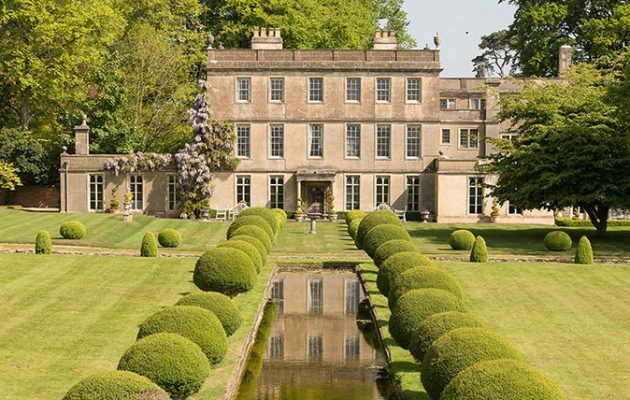 A British buyer in his forties, working in London’s financial sector and with a young family, bought the Grade II-listed Upton Grove near Tetbury, Gloucestershire, home of the sporting Pope family since 1952. It had been launched on the market in via Country Life in May through Knight Frank, the deal eventually being sealed in October. The sale of the classic Georgian Seend Park is not yet finalised, but the house is under offer following a flurry of interest from London-based buyers for this house on the edge of the pretty Wiltshire village of Seend, four miles from Devizes and 16 miles from Bath. The elegant 17th-century house, set in 26 acres of magnificent gardens and parkland, was remodelled in the mid 18th century by the formidable Mary, Dowager Duchess of Somerset, and again in the 1990s by the current vendors. 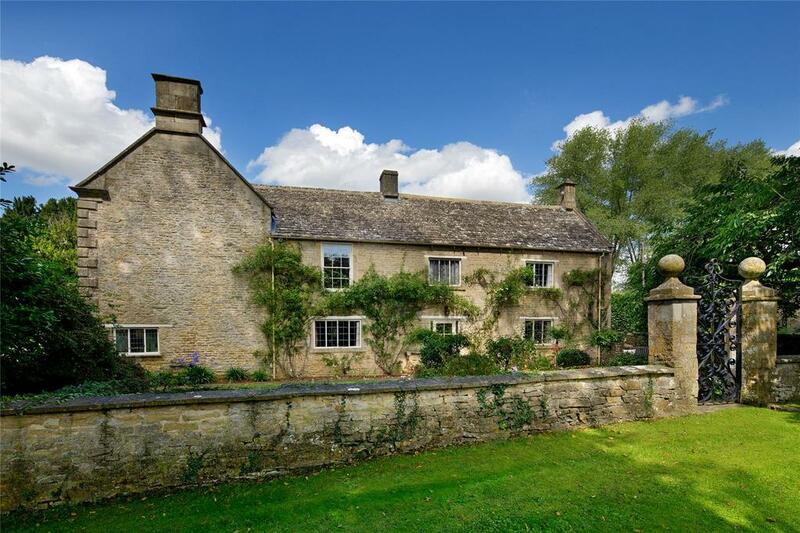 Not all buyers have been based overseas or in London: the new owner of this lovely house has family ties to Bath and national business interests. 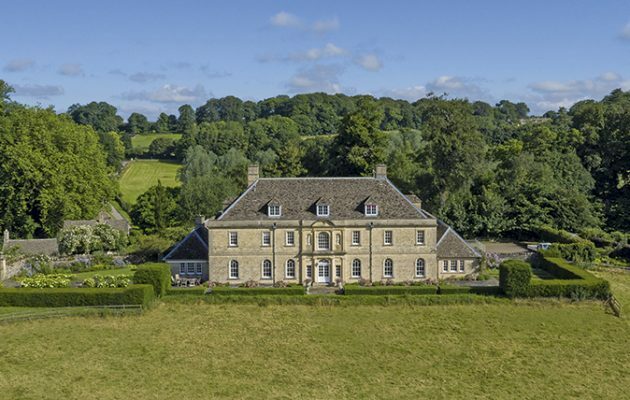 Grade II-listed Conkwell Grange at Limpley Stoke (pictured above, below and at the top of the page) comes with 20 acres of land, and is just five miles from Bath. It was designed by the Edwardian architect Sir Edward Guy Dawber for James Thornton in 1907. This substantial, 10-bedroom house in need of refurbishment was being sold by Knight Frank on behalf of a vendor who was looking to downsize, but tragically passed away while the sale was still in progress – a grim reminder of the agonising problems facing older vendors of large houses in the current market. 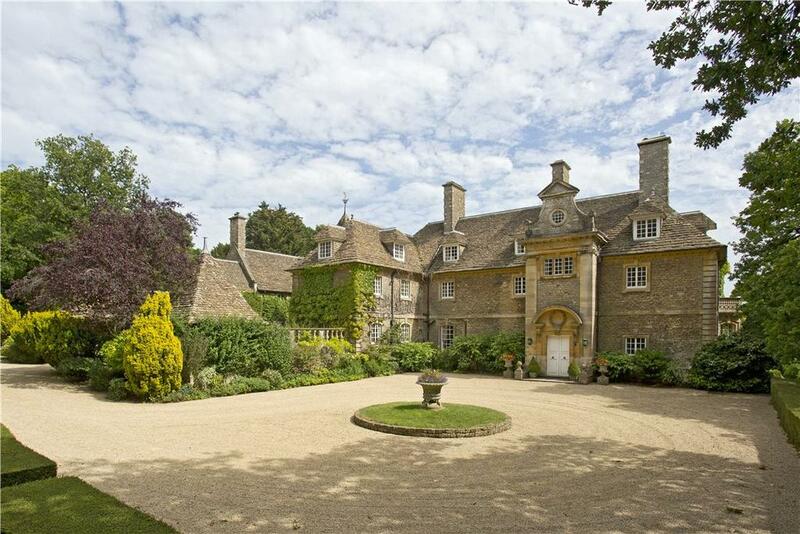 The pretty, Grade II-listed Broad Close at Church Enstone, three miles from Great Tew and Soho Farmhouse and 15 miles from central Oxford, was launched on the market at a guide price of £2.5m in mid September. A sale was agreed a month later and contracts exchanged by October 31. 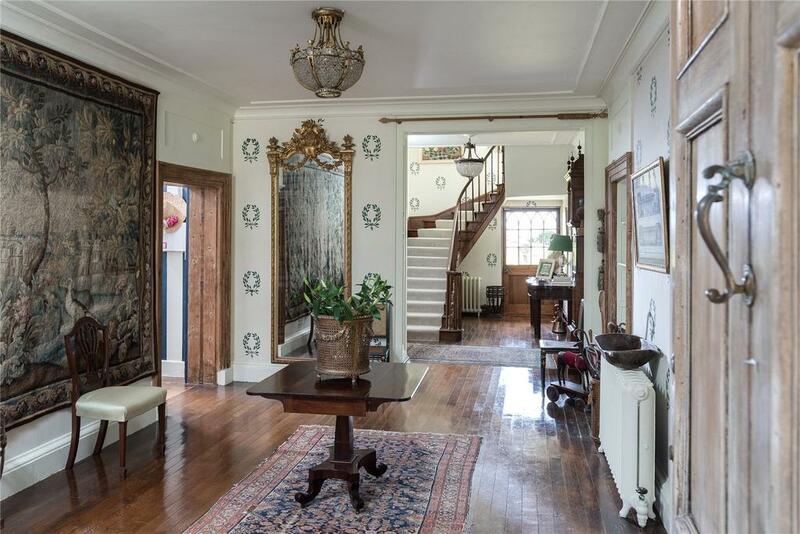 She points to the example of Lovelwood House at Lillingstone Lovel, Buckinghamshire, which went to “best and final offers” before exceeding the guide price of £950,000.